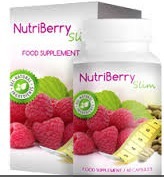 Nutriberry Slim is a weight loss supplement manufactured in the UK by Healthy Essentials Ltd and sold via the product website and through a large number of separate affiliate sites. 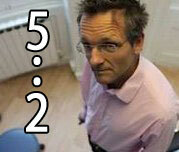 Although the company is based in the UK, the website is available in other languages, typically French. There are several forums and specialist compliant type website that have detailed Nutriberry Slim as one to avoid for several reasons – not least for the way in which is extracts money from customers by way of dubious payment plan. Positives: Claims to contain raspberry ketone and green coffee. Negatives: Company and brand currently under scrutiny. Scroll down rest of review for details. Postage is free on all orders, and a money back guarantee is available, but returning the product automatically secures a postage fee that will be taken off the refunded money. What is Nutriberry Slim and How Does it Work? Nutriberry Slim is a slimming pill that has been designed to act as a combined stimulant, appetite suppressant, and fat burner. The pills contain three active ingredients, but inclusion rates are not provided, so it is impossible to ascertain how effective the mix may be. Raspberry Keytone: A natural substance that is usually sourced from raspberries, but some other fruits also contain it. Initial interest in the fat burning qualities of raspberry ketone began in 1995, after a study conducted on mice showed promising results. More recently, the ingredient was championed by the US TV personality Dr Oz, who called it a “miracle in a bottle”, and is largely responsible for the present buzz surrounding the ingredient. Naturally sourced raspberry ketone is very expensive though; so many dietary supplement manufactures use a cheaper, synthetic form. The synthetic version may be more purse-friendly, but it is also known to lack the power of naturally sourced raspberry ketone. No information is provided about which form is used in this blend. Green Coffee Bean: Green coffee beans are known to be high in a chlorogenic acid—a substance which has been proven to assist fat burning. Also a source of caffeine, which may help provide some of the promised “increased energy”, but may also cause side effects in some users. Acai Extract: Acai berries are known to be a good source of antioxidants. They are also believed to able to help reduce cholesterol levels, but although they are a healthy ingredient to add to the mix, acai berries have never been successfully proved to assist weight loss. It is worth noting that none of these ingredients are likely to help retain muscle mass, nor is there much evidence that they will be able to suppress the appetite. The official website bears a few before and after photographs on the homepage, along with some accompanying testimonials that are purported to have been made by satisfied customers. Independent reviews would provide a more reliable picture of the product’s performance, but these are not available at this time. The product has been mentioned on the RipOff Report website though. A little investigation, assisted by the Google search engine, reveals this is not at all an isolated incident and is, perhaps, a warning of the possible dangers of sharing card details with an unknown supplier. Although caffeine-related side effects may be an issue for some users, due to the green coffee bean extract; raspberry ketone and acai berries—dubbed super fruits—are known to be healthy ingredients and their use here should not present any problems. But unless the two super fruits are included in sufficient quantity they will offer little benefit and if synthetic raspberry ketone has been used any potential benefits will be further limited. The product has not been tested, and independent customer feedback is unavailable, so this product is far from proven. It may work, or it may not; Nutriberry Slim is, at best, a gamble. The claims of unauthorised debits from customer accounts is a far more worrying issue though, which makes any gamble of Nutriberry Slim seem to be an ill-advised investment that may have the potential to break the bank. Many other products offer better odds of success, and have already proved themselves to be weight loss winners for many dieters, so the consumer is advised to avoid Nutriberry Slim and take a chance on something else instead. Available from the official website. Not available to buy from the high street in stores such as Boots, Superdrug, GNC or Holland and Barrett. 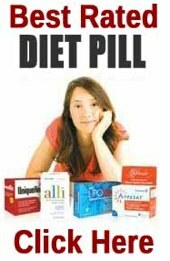 If you are looking for a premium diet pills from a premium company (and Nutriberry Slim has taken your eye due to the ingredients) then look at Garcinia Extra. 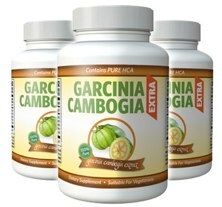 Garcinia Extra contains garcinia cambogia and raspberry ketone – two of the most potent natural fat burner currently on the market. I have just the worst experience with the company and productes, first free testing botle was later charged from my acount 86 + 93 pounds whots is crazy, I never would be order so expensive product, + isn’t function, after 2 week – I don’t feel slimmer and lighter….comunication about money with company is torrible. I NOT recomend it to some one. Which made no sense at all. I contacted my credit card company immediately after speaking with this fraudulent company for a total of 2 hours, where I’d been sworn at, hung up on etc. I ended up finding their email telling them to cancel immediately, and I received a cancellation confirmation within a few minutes. The credit card company, are playing games they haven’t been helpful and had refused to refund me, until I quoted my rights Under my consumer rights and the fact that I did not receive any products for the charges listed below and secondly that the company is acting fraudulently. I am making a claim against you, my credit card provider, under Section 75 of the Consumer Credit Act. Now they’ve made a refund I also threatened going to the FOS. My mum had a problem with this company. Paid for her postage for the free trial, they then took over £200 out of her account. After numerous phone calls to both her credit card company and the nutriberry company she got most of her money back but is still down £60. DO NOT trust these “too good to be true offers” Read the small print. she even offered to send them back as she hadn’t opened them but they refused. Please can sumone help , Iv had 400 took out from my account over 4 month’s. There saying its in turms and conditions. Nothing but a scam. Does anyone no how to claim money back. Hoe kan ik een mail zenden naar nutriberryslim ? I also ordered a trial bottle of NutriberrySlim together with Vita Cleanse, without understanding (English is not my mother tongue) I committed myself for months. I just sent a cancellation email to the cancellationadress indicated … but IT DOES NOGT EXIST … see hereunder the Failure Delivery Status Notification I just received! I intend to object to my bank on my credit card for any attempt to get paid by this advertiser. Nutriberry Slim stole £198.00 out of my bank on a free trial. If anybody has any information about how to contact this company, I would appreciate it. I need as much information as I can get so trading standards can help retrieve the money they stole, and by the way the bank wont help you but trading standards will, So if youve been scammed by this company get intouch with Trading standards with as much information as possible, So any help would be truely appreciated, Thanks. Nutriberry Slim have just stolen £93 out of my account nearly 2 months after I sent the trial bottle back to them unopened. They say they did not receive it and the tablets were worth £93 despite being a free trial. I am so upset by this they are con men I will report them to Trading Standards. Nutribeery slim have just taken a total of £183 out of my account under different company names.This months after returning and cancelling any future products from them.At moment bank trying to recoup.What a scam. I was asked, by a friend, for some help with recovering a debit card payment fraudulently taken by Healthy Essentials. There are two methods that should help people get a full refund from either their bank or the company. hi I was on GMB (good morning Britain)website doing a competition when I came across an advert for nutriberry slim, I was taken in by the headlines check out the new diet pill everyone’s talking about, so of course I had to have a look well I read all what was said and even watched the video’s from American talk shows and news highlights so I was then fooled into taking the trial for the price of p&p £2.99, I received the tablets a few days later but didn’t take them as it said not to if on other medication, so I just thought oh well I’ve only lost a couple of pounds until I checked my bank account online and saw that they had taken £93, I called my bank straight away and they put a stop on my account, I asked for a phone number for the company and was given 0800 546 0185 I was given an address of where I could return my tablets (PO BOX 7574 MILLTON KEYNES MK11-9GQ) for a refund by the foreign man on the phone after a long drawn out argument and threats from me with trading standards which didn’t seem to take any affect what so ever, according to them they haven’t done anything wrong and I should have cancelled within 12 days, “not a happy girl” I was also informed that I would only get £83 refund as there was a re- stocking fee what a bloody con. I am not really sure what to do next or where to go from here any help would be greatly appreciated as I am a single mother of two girls and can not afford to lose this kind of money. Like all other customers I have been scammed of £146.00 I noticed the amount taken from my account and went straight to my bank. They have put a cancelation on my account and the scammers will not be able to take out anymore money and they also suggested to have a new card which will help. I too was fooled into the ‘Free Trial’ but tried to cancel my subscription as soon as the first bottle arrived. The email addrss they supplied bounced and the phone number they provided didn’t work. I immediately called my bank and asked them not to process any further payments to KETONE MAXX for fear of the cancellation not being received. Another payment for £49.49 has been debited from my account, but my bank are now refunding this because I had requested they don’t process the payment. I have now emailed customerservice@trynutriberryslim.com to cancel my subscription, which appears to have been received as I have a confirmation email from them. I have also managed to speak to a foreign sounding man called Henry on 0800 546 0185 to verbally cancel my subscription. Good Luck! DON`T DO THIS, IT WILL SERIOUSLY DAMAGE YOUR BANK ACCOUNT!!! !